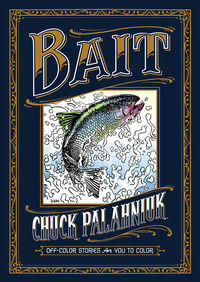 New York Times bestselling novelist Chuck Palahniuk collaborated with incredible comic book artists to create BAIT: Off-Color Stories for You to Color. We've partnered with Palahniuk for an exciting coloring contest that runs through December 12, 2016. Order your copy of BAIT: Off-Color Stories for You to Color and color one of the pages shown below. 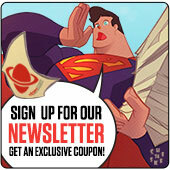 Alternativley, you may download one of the images below. Color. This is the fun part: use your favorite tools to create an awesome piece of art. Winning entrants will be announced and notified by 12/16/2016. Legal Notice: Entire contents trademarked (® or TM) and copyrighted (©) 1986-2019 by Things From Another World, Inc. and respective copyright and trademark holders. All rights reserved. Page rendered at 2019-04-19 18:10:15 in 0.201 seconds.